LAHORE: (Tuesday, October 16, 2018): Punjab University Centre for South Asian Studies has (CSAS) organized inaugural ceremony of ‘India Study Desk’. 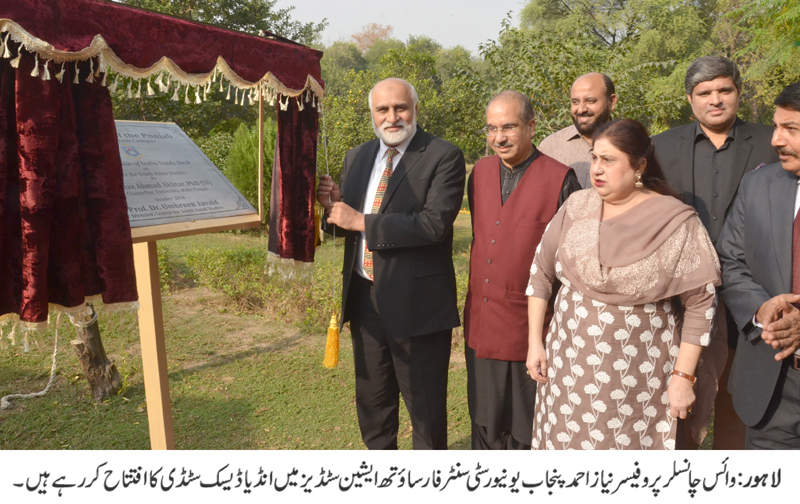 PU Vice Chancellor Prof Niaz Ahmad, Dean Faculty of Arts & Humanities Prof Dr Muhammad Iqbal Chawla, Director CSAS Prof Dr Umbreen Javaid, faculty members and students were present on the occasion. Prof Niaz Ahmad encouraged and appreciated the efforts of Dr Umbreen in the field of academia. He said that such projects are always welcome and would be funded. 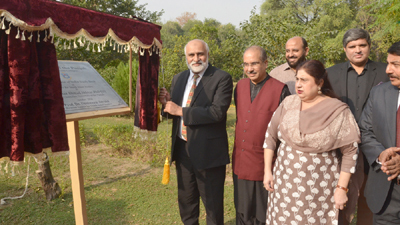 In her address Dr Umbreen said that it was an honor and a landmark for CSAS to have the inauguration of India Study Desk, which is the first of its kind in Pakistan. She said that the Centre has the honor to initiate a Diploma in Indian Studies and Journal of Indian Studies, again first of its kind in the country. She said that the objectives of the centre are to institutionalize a system of continuous flow of information on the social, cultural, economic, political, scientific and military development in India. She said that the desk would aim at feeding Foreign Ministry on factors and forces which shape India’s international relations. She thanked the VC for encouraging and appreciating the efforts and providing funds for this great venture. Prof Dr Muhammad Iqbal Chawla congratulated the Centre for the successful inauguration of Indian Study Desk.